The Bender House is still up for sale. It seems like this thing has been on the market for months, maybe even a year now. I’m not sure why it’s not selling; maybe the price is too high, maybe historic homes come with too much baggage and nobody wants to take it on; maybe it’s really a fixer-upper inside, despite how good it looks outside. But I’ll bet that whoever ends up owning it won’t regret it. I’d love to buy it myself, if it weren’t for the fact that paying the mortgage alone would take about three month’s salary, not to mention taxes, maintenance and upkeep. If anyone is interested in buying it, it’s only $849,000. Which makes my heart drop into my stomach personally, but after you look at the details it starts to seem like more of a bargain. 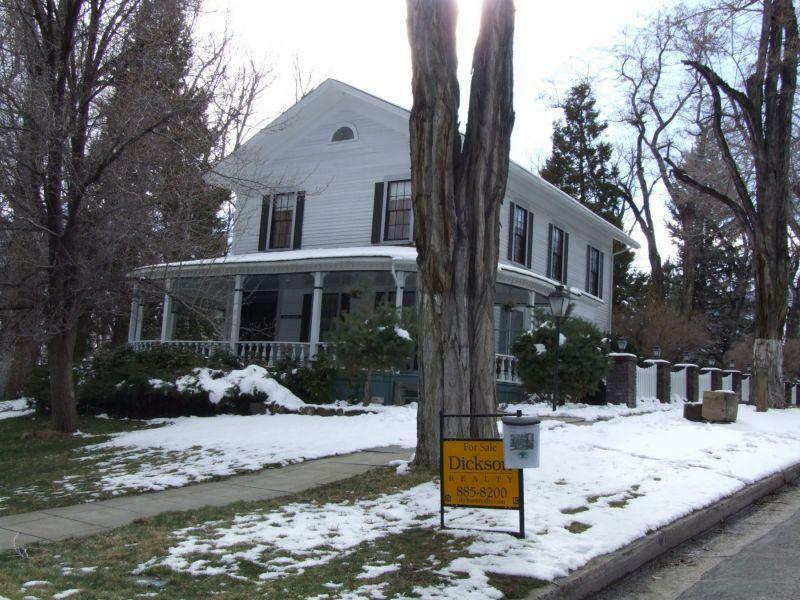 It’s in probably the best neighborhood in all of Carson City, right across from the Governor’s Mansion and the Bliss Mansion. It’s over 3,000 square feet, the yard takes up fully 3/4 of the block with a garage and other outbuildings, and there’s a huge front porch with an even huger lawn that deer like to hang out in. Plus it’s a historic home, built in 1867, and on the Blue Line tour. If anything, it almost seems underpriced. With the way I’m going on about it you’d think I was the one selling it. But no, just someone who’s drooling over it. Dickson Realty are the real estate agents; here’s their listing. And if you do buy it, give them my name. Maybe there’s a nice finder’s fee involved.